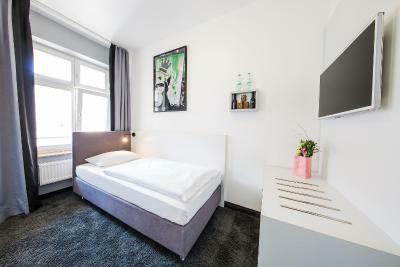 Lock in a great price for CALMA Berlin Mitte – rated 8.8 by recent guests! The location is fantastic and the room was pretty specious. Living room and bedroom separated. The staff are very nice and the cleaning is very serious. They have an inspector who checks on you later in the day to make sure it's been cleaned to your expectation. Got an upgrade, no extra fees. That was just awesome! The staff were super friendly and helpful. The rooms were clean and everything felt like it was new. 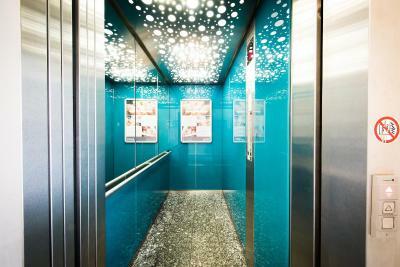 (Corridors, rooms, lobby) Free WiFi. This hotel is very close to public transportation. Everything is within walking distance (if you can walk a mile). The neighborhood is pretty clean, quiet, and safe, even at night. The room is very clean. 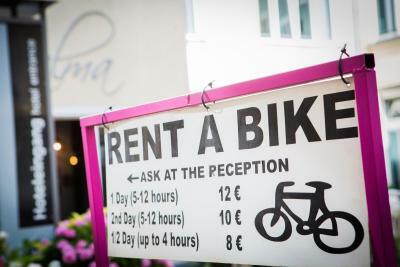 Great location, very friendly staff, clean rooms. A lovely place to stay! 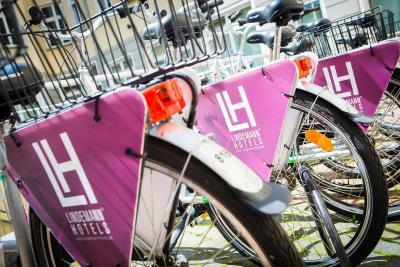 A pleasant surprise - great facilities, modern, well designed, clean, wonderful staff. The breakfast var a bit expensive but was very good. 1. Very nice area with many different genres cuisine around. And they open late. 2. 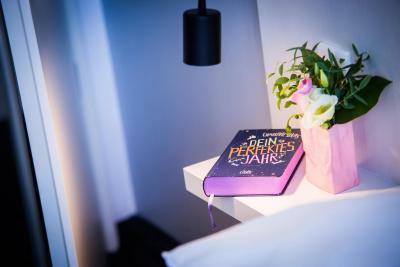 The bed was so comfortable that relieved our sore bodies after dancing at the nights and walking at the days. 3. Breakfast in the hotel was good. We like it. The hotel is lovely, in a nice part of town. Staff were very friendly and professional. Decor looks good and it has a courtyard so quiet. 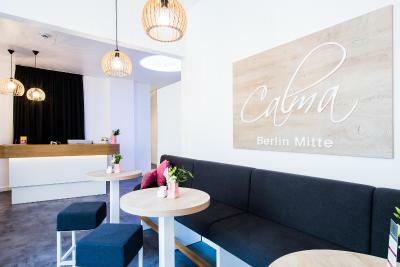 CALMA Berlin Mitte This rating is a reflection of how the property compares to the industry standard when it comes to price, facilities and services available. It's based on a self-evaluation by the property. Use this rating to help choose your stay! 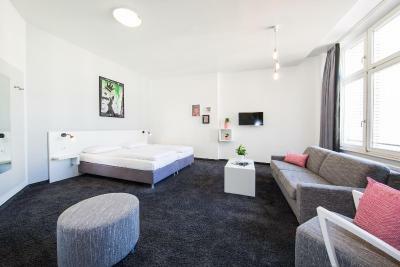 The CALMA Berlin Mitte welcomes you in the heart of Berlin, 1,000 feet from the trendy Oranienburger Straße area, and is a 20-minute walk from the Berlin Central Station. 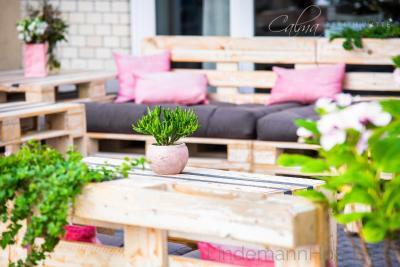 On a sunny day you can relax on the terrace. Free WiFi is offered throughout the hotel. 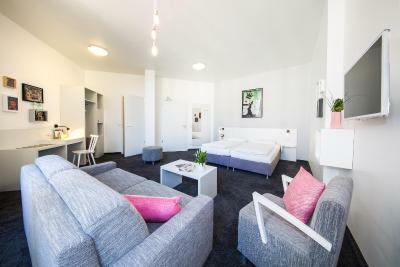 The rooms feature modern design using wood, gray and white as well pink accents in a historic building where the state printing works of the former East Germany were housed. 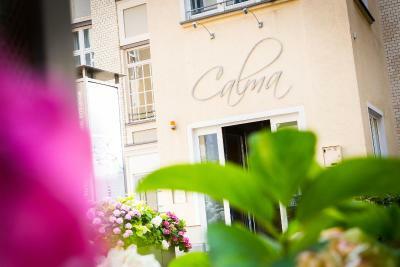 CALMA Berlin Mitte is located in a quiet courtyard which offers relaxing accommodations away from the city noise. When would you like to stay at CALMA Berlin Mitte? 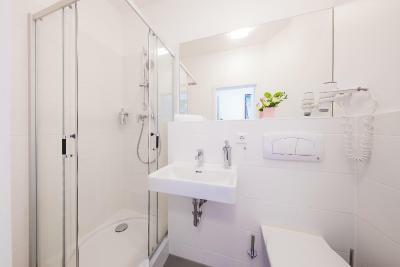 This size S (small) room offers neutral colors, a flat-screen TV and a private bathroom. A child up to the age of 5 can sleep free of charge in the parents' bed. 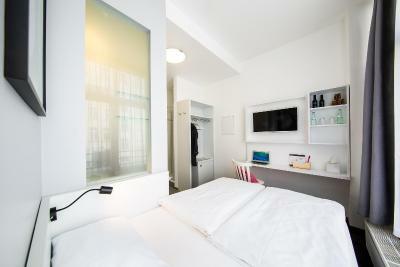 This size M (medium) room includes a flat-screen TV, a desk and a private bathroom with shower and hairdryer. 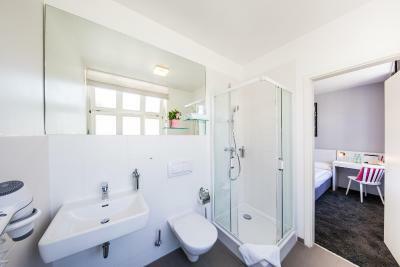 This very spacious room is suitable for families. 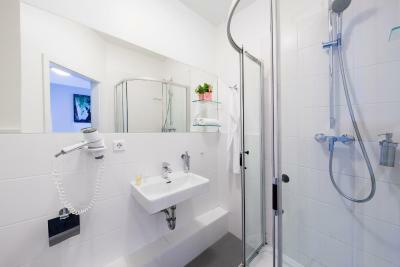 This room, designed with neutral colors, offers a flat-screen TV, a seating area and a private bathroom with a hairdryer. The 3rd and 4th guests sleep on the sofa bed. A child up to the age of 5 can sleep free of charge in the parents' bed. The 3rd guest sleeps on the sofa bed. A child up to the age of 5 can sleep free of charge in the parents' bed. 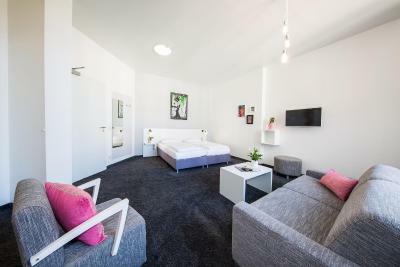 This size XS room is smaller and offers new modern furniture in white and gray tones, large windows and a flat-screen TV. There is a work desk in the room. Please note that extra beds or baby cots are not possible in this room. 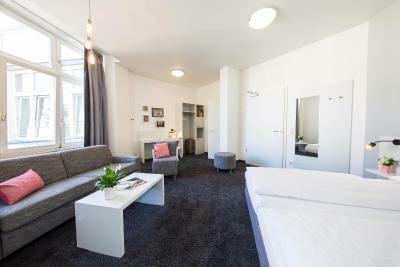 This size XS room is smaller and offers new modern furniture in white and gray tones, large windows and a flat-screen TV. 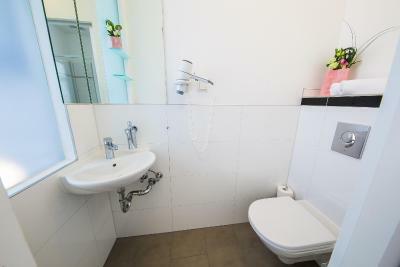 This size L room is very spacious and is equipped with a sofa, a seating area, a flat-screen TV and a private bathroom providing a hairdryer. 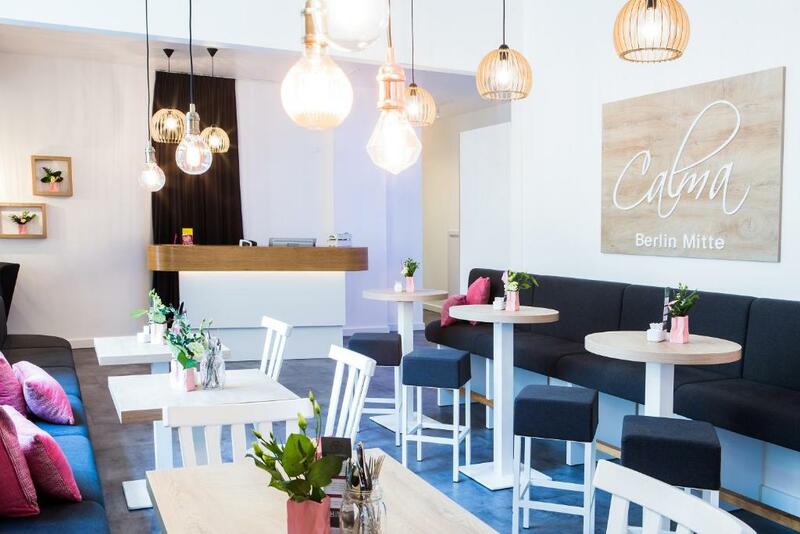 House Rules CALMA Berlin Mitte takes special requests – add in the next step! Debit card CALMA Berlin Mitte accepts these cards and reserves the right to temporarily hold an amount prior to arrival. 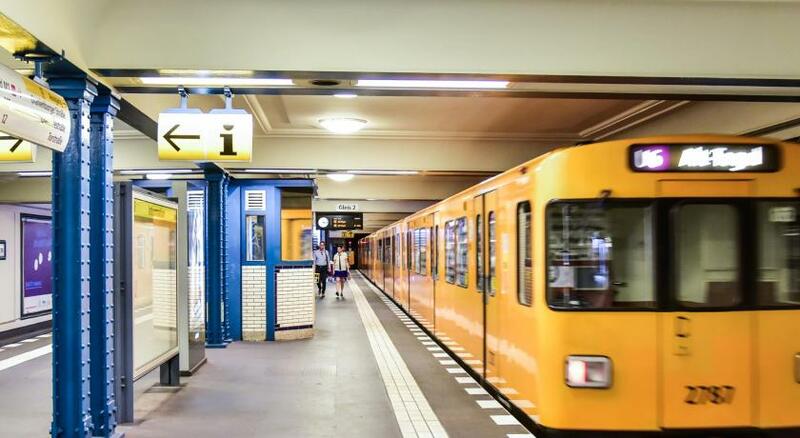 CALMA Berlin Mitte accepts these cards and reserves the right to temporarily hold an amount prior to arrival. 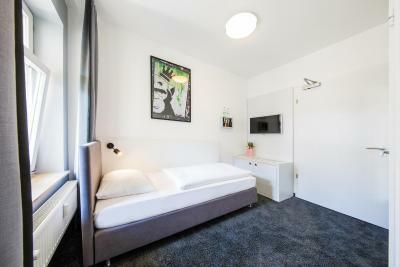 really small room and for price not worth it. Not very comfortable surroundings. The shower was a little bit dangerous. 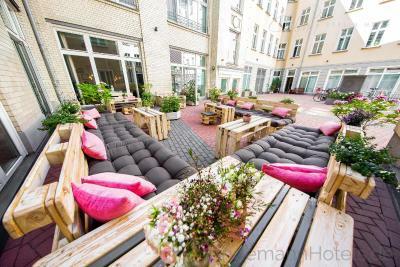 Great location, close to lots of restaurants and coffee! 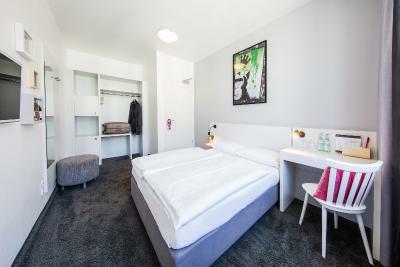 The rooms were very clean and modern. 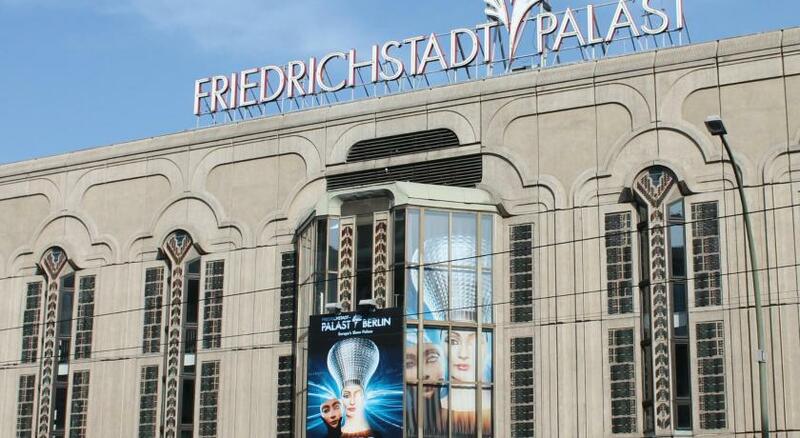 The hotel was very helpful with the booking because we were a large group of people. The bed was very comfy and location was awesome. There was also a good amount of space in the room. The gentleman who checked us in was also incredibly helpful! 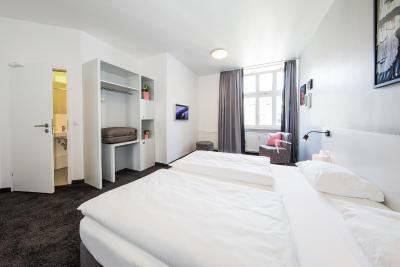 The rooms were a touch small, it reminded me a bit of university accommodation. 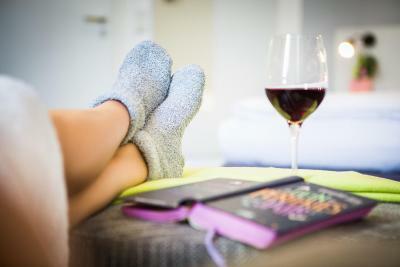 But having said that we didn’t spend much time in the rooms so it depends what you are after. The property was really well kept, modern and the staff were helpful. Staff were very friendly and very helpful. Dealt with our questions and needs very well (e.g. buying tram tickets, stamps). Also got free hot drinks throughout the day. Hotel was secure, quiet, spacious and very clean. Room was bright with a large window. There was lots of room for storage and everything you needed (glasses, hairdryer etc). Would recommend to friends/family. Very good value for money. The room was a little cold for me, and i couldnt find the thermostat. Big windows, lots of light, greadt breakfest. Location great, ease of coming and going was very good, staff very friendly. no parking however it is stated as available in the hotel description. for me it was key search condition.